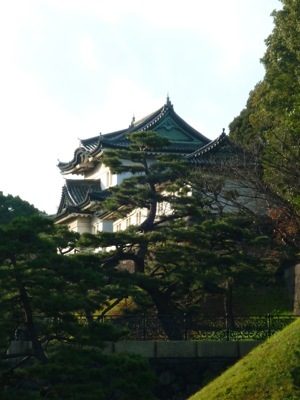 The Imperial Palace is the home of the imperial family. It is now the residence of the 125th Emperor of Japan, Emperor Akihoto. The palace was completed in 1888. Don’t be disappointed if you can’t really see the palace. Because, like other palaces, visitors are kept off the royal residence. 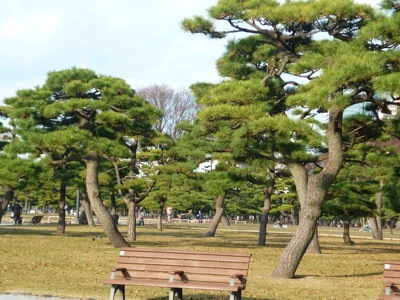 However there is a huge garden in the vicinity of the palace – where you can hang out and relax there. Many bring their family and partner to the garden and some cycle there too. One interesting fact you will find outside the palace is it is scattered with gravel. You need extra care when you walk there. Our tour guide told us that this pebbles prevent ninjas from killing the emperor as they make a noisy sound and alert the security when the killers-to-be approach the palace. 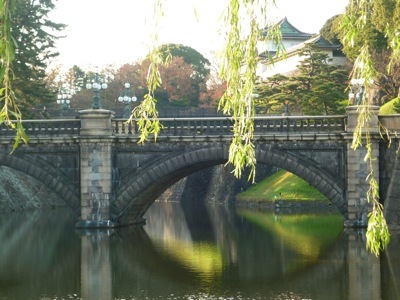 The most photographed place in Imperial Palace is Nijubashi Bridge where two bridges give you the false impression that they are on top of one another.